Wander around snow-filled Hogsmeade Village and Diagon Alley, dress up in Hogswart robes and practise your Quidditch skills. Singapore's Changi Airport is going all out this holiday season and giving travellers a rare reason to get to the airport early. In collaboration with Warner Bros, the airport has created a full-scale Harry Potter world, now open from November 16 through mid-February. The Wizarding World Holiday exhibition is spread across all three of the airport's terminals and brings to life some of the most iconic backdrops in the Harry Potter and Fantastic Beasts films — think Hogsmeade Village, Diagon Alley, the Whomping Willow and Newt Scamander's Menagerie (which is depicted in Fantastic Beasts: The Crimes of Grindelwald). Wander through a snowy Hogsmeade Village where you'll catch sight of Zonko's Joke Shop, Madam Puddifoot's Tea Shop, the Owl Post and the Honeydukes sweets store. Or head to Diagon Alley, where visitors can dress up in Hogwart's school uniforms from Madam Malkin's Robes for All Occasions and create a GIF in front of a 'magical' mirror. There are also spell-casting lessons and Quaffle toss competitions — which let you 'ride' a broomstick and practise your Quidditch skills. Limited-edition Harry Potter-themed travel merch will be on sale in duty free, too. 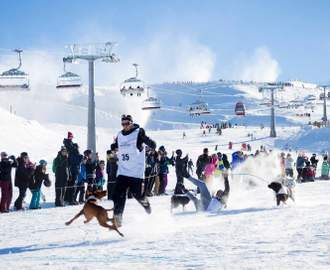 Plus, a snow and lights show will take place in terminal three each day. We reckon this is your best excuse to book a trip to Singapore (or organise a layover through Changi) these holidays. 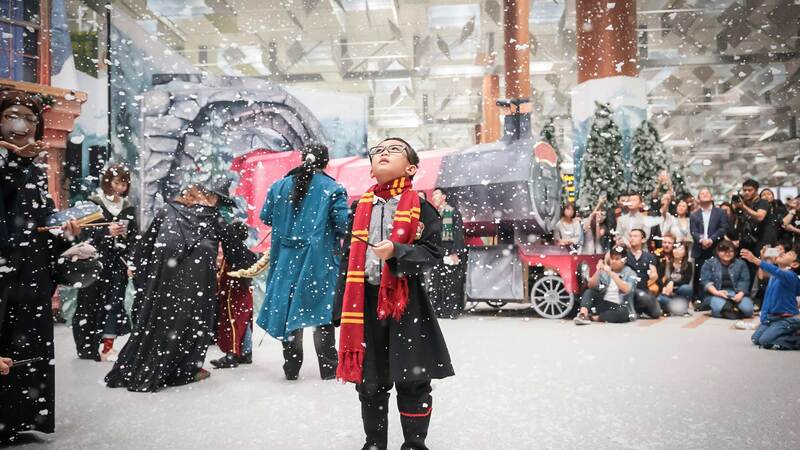 Wizarding World Holiday is located in Terminal 1-3 at Changi Airport until mid-February, 2019.